On the one hand, the general meeting proved to be of a retrospective nature – with an interim evaluation being made of the previous nine years, and almost 60 speakers reporting in detail about their current projects over the course of the two days. On the other hand, the event also served as a platform for discussing the future of the NIP. Accordingly, the configuration of the NIP 2.0 was also a key topic in the conference room at the Marriott Hotel at Potsdamer Platz in Berlin during the opening speeches. Discussing the financing of a follow-up project to the NIP 1.0, Bomba said: “we have been very successful with the budgetary negotiations. The topic of NIP is secure for the years to come.” He also made it clear that it may be possible for yet more financial resources to be made available if – as with the NIP 1.0 – the industry confirms that it also wishes to carry out significant investments. As Prof. Tillmetz reported, it has proven possible to secure funding from the supplementary budget for 2016, 2017 and 2018. He therefore confirmed that “the continuation of the NIP is anchored in the federal budget.” He went on to say that: “things are going to plan, things are going very well.” Bomba specified that a total of EUR 161 million are also available in addition to the current NIP for the market activation: 25 million for 2016, 50 million for 2017 and EUR 86 million for 2018. According to his comments, this will mean that the previous and approaching funding programs will overlap, which will bring a sense of continuity to the sector. He also referred to additional funding projects which are being initiated by the BMUB, the BMBF and by individual federal states. When asked by H2-international about how long the market launch phase should last, Bonhoff and Tillmetz explained that the market launch did not have to be completed after three years. According to the strategic paper from the NOW advisory council, ten years have been calculated. Uwe Beckmeyer, Parliamentary State Secretary at the German Federal Ministry for Economic Affairs and Energy (BMWi) explained: “the NIP is a special program. […] I am very confident that it will remain part of a further strategy.” The BMWi is yet to have made a definitive statement, however. Since the topics are already anchored in the 6th Energy Research Program, it is now a question of “how” and “how much” rather than “if”. 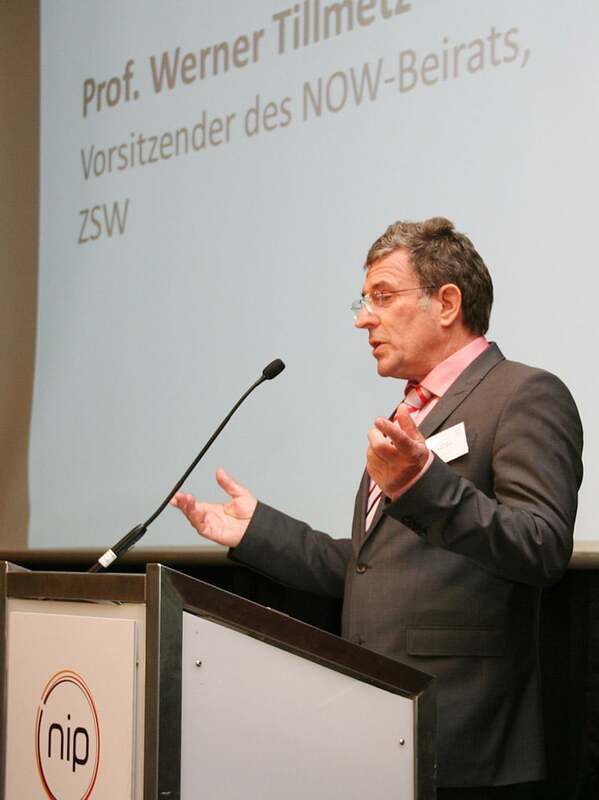 When asked about his personal future by H2-international, Prof. Tillmetz explained that a new appointment was already on the agenda for the next meeting of the Advisory Council. He has explained that he would like to continue on the Advisory Council but that he wants to hand the position of Chairman “over to a new pair of hands with NIP 2.” “It is now time for the younger generation,” explained Tillmetz. He didn’t name any names, however, and only said that his successor would be “one of his colleagues.